This is something that we get asked quite a bit. 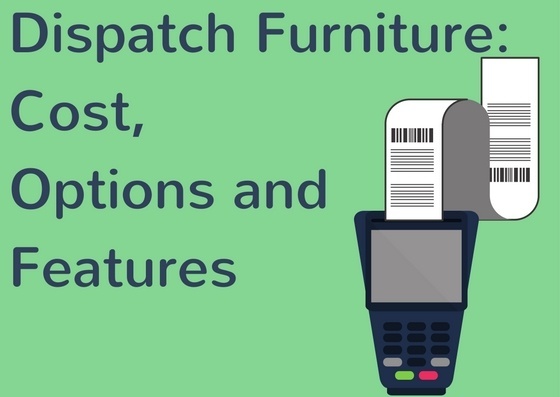 Understandably, many of you want to get the best value out of your purchase for dispatch furniture. This consists of the initial cost of the dispatch station as well as the expectant lifetime of the product and the warranty. Getting the most for your money is important no matter where you work. So, what is the initial cost? Everyone has to report to the board or the taxpayer eventually, so they want to know what the hard cost is. 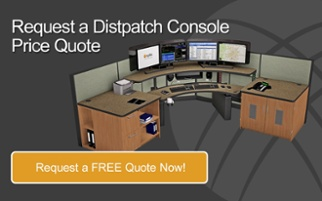 This varies with different dispatch furniture vendors and with all of the options you can add to the station. The following information can help you set a budget. What Are the Options That Typically Get Added That Change the Price? Extension cables for monitors, keyboards, etc. In our experience, a large majority of public safety centers invest in most of the options, as they understand the requirements of the job and that it is tough demanding job for dispatchers. Management does what they can to take care of their people, and ensuring that the dispatchers work on well-built dispatch furniture and consoles plays a big part in that. Here are some estimates to help you best budget your next console purchase. All of these estimated prices include freight and install. This can include dual-surface height adjustment, computer storage, extension cables, focal depth adjustment for monitors, side work surfaces, and our full-design service. Treadmills and exercise bikes are also becoming popular additional options in this top level category. If the dispatch center is going to design the entire room around the dispatch furniture and add all of the available accessories, it can raise the price per-station to this level. Why Do Some Vendors Charge More Than Others? As staff members of various centers often talk to each other, the questions of what did you get and how much did it cost should come up. You may have heard of a very proud neighboring county state that they paid $24,000 per console. Yikes! Is that cost difference really worth it? All of the console vendors have similar costs when buying products. Most of us even buy the same lift columns from the same company. All of the other components used to build a console are of similar prices. What it boils down to for the additional cost are usually two things: margins and dealer markup. Every company needs to have good margins to keep the doors open, employees paid, etc. Some companies want more than others; it’s as simple as that. Dealer markups are what drive me crazy. We had a project that would have cost the public safety answering point (PSAP) about $30,000. We had to go through a dealer, and they sold it to the same PSAP for $60,000. Like I said, everyone needs to make a living, but WOW! The value is not there. Hopefully this inside scoop on what happens in the dispatch world and why some parts cost more than others will help you be better informed when you’re in the market for your next console purchase. Final note: You’ll find the best deal by shopping around and doing your research.